Scott McLaughlin says childhood memories of watching Supercars drivers commentate onboard laps inspired his impromptu effort in practice at Phillip Island. 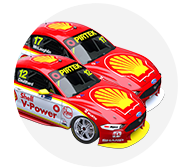 McLaughlin engaged in a rare live-cross with commentators Neil Crompton and Mark Skaife during the day’s opening 30-minute session. McLaughlin’s commentary effort didn’t last the full tour, however, with Crompton interjecting “the team want you to get on with the job, so go out there and press on”. “I knew it’d be a bit dicey to keep talking, so I just did it anyway’,” McLaughlin said when asked of the moment following Practice 2. “Then Neil came on and said something [about the team wanting to end the transmission]. “I like it, I think it’s cool. As a kid I always wanted to listen to, I think, back in the day it was the K-Mart Inside Line or whatever it was. “They used to go out there together and talk crap and I always liked it. “It’s quite cool I think, you think about it as a young kid coming up, what they want to hear, and I think it would be nothing cooler than hearing someone talk their way around the lap. The K-Mart Inside Line featured on the broadcast in the early 2000s, with McLaughlin’s hero Greg Murphy the regular presenter. Similar pre-recorded laps continue to be part of the coverage, but live in-car crosses have largely been limited to guest commentator drives in recent years. 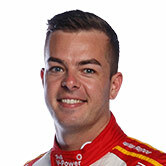 McLaughlin had also played a role in the Friday broadcast at Symmons Plains, providing expert comments from the Turn 4 hairpin during the additional-driver session. 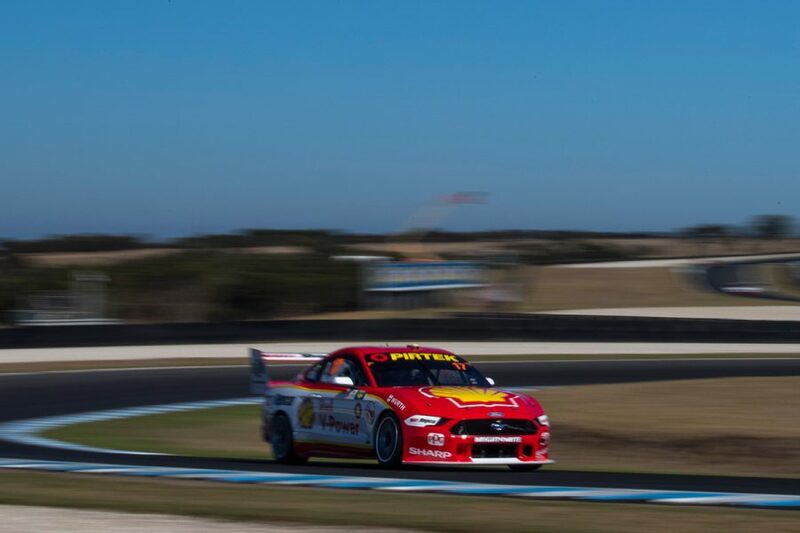 Championship leader McLaughlin enters the weekend as an overwhelming favourite for victory, based on his recent form and history at Phillip Island. He’s taken six straight ARMOR ALL Poles at the venue, spread across the Volvo S60 and Ford Falcon FG X, as well as four out of the last six races. “Really happy, we had a really solid day,” he said of his sessions, having been fourth in Practice 1 and just 0.006 seconds adrift of team-mate Fabian Coulthard in the second hitout. “We just ran race runs in that first session this morning and then qual runs at the end. They were all pretty good. “We’ve got a little bit to work through overnight, but I think we’ve got a really good package for tomorrow morning. “I really enjoy being able to flow the car and be able to carry speed through corners. “It’s one of the only tracks where you can kind of get away with sliding it a bit and not lose too much time. “In that session we were probably a little bit too loose, so we’ll tune it up and get better.